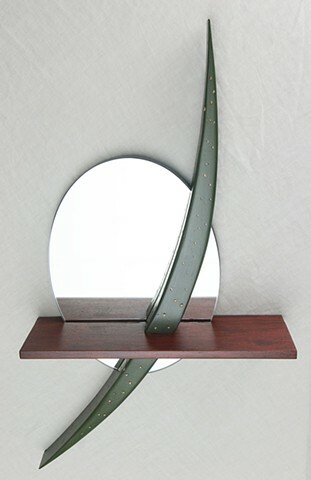 This elliptical mirror has a padauk wood shelf and a green sculpted arc that has surface texturing. The unit is designed to hang on a wall with metallic French cleats. H 33" W 17.75" D 6"